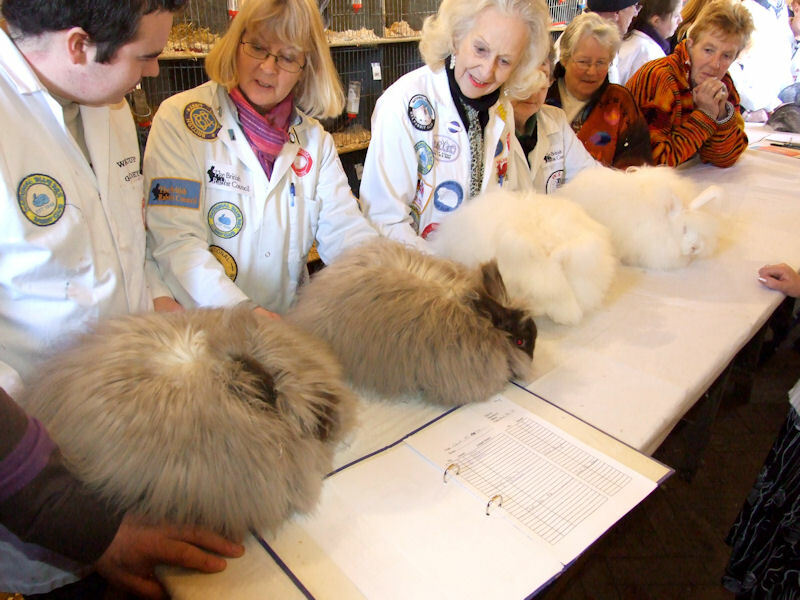 If you are wanting to take more of an active role in the showing of angora rabbits then here is a brief guide to becoming a 3* judge. 3* judges fall into four categories, Fancy, Lop, Fur and Rex. The ultimate goal is to become a 3* judge in all four categories but this takes time, a lot of study and research and a great deal of patience. 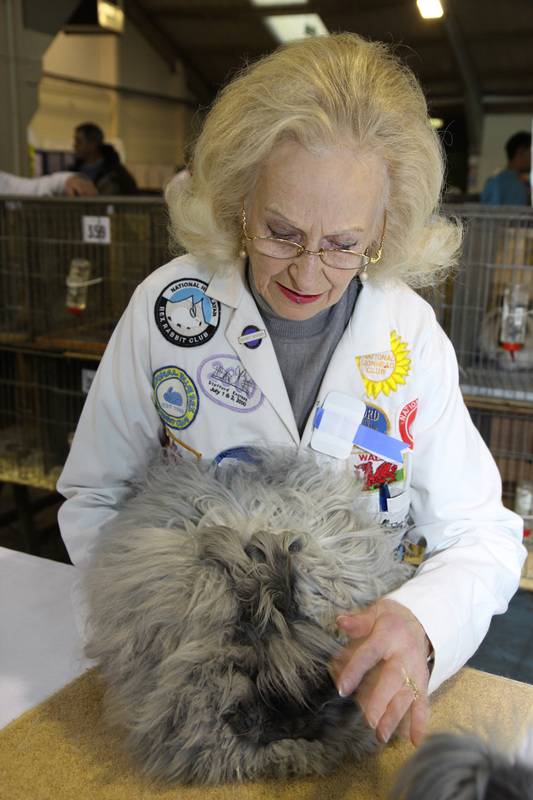 The best way to begin is to keep one breed of rabbits and show them on either pet shows or the main show of as many Clubs as you can get to. 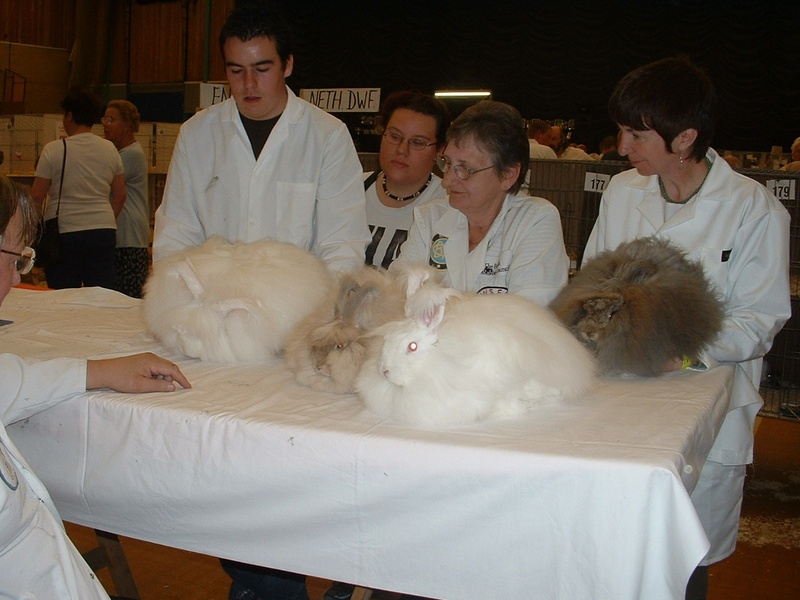 Next, make sure you learn to steward rabbits of all breeds at shows for the whole day, watching the judges, asking questions and be willing to learn. Once you have mastered the art of stewarding you may be asked to judge the pet section, graduating to Judge 1* shows and eventually 2* shows. 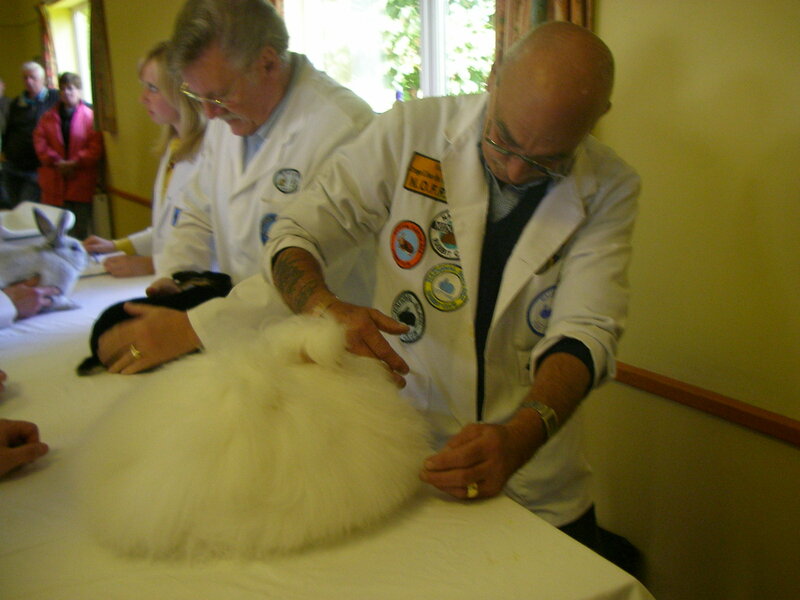 Ask specialist club judges to teach you how to judge each breed of rabbit and learn from specialist breeders as well. At this stage you may consider keeping more varieties yourself. Judges seminars are sometimes offered at some of the larger shows and eventually you may graduate to 2* judge status in one or more of the sections. 3* judges are decided by the Governing Body of the BRC and are only awarded after many years experience, 2* or 3* status can be in any or all of the four categories but the ultimate accolade is to obtain all four. Posted 29/01/2018 by SM & filed under Showing Angoras.